Anyone who’s tasked with designing an interior knows it’s no easy feat. There’s a seemingly endless stream of hues, styles, and scales to consider; trends to adopt or refuse; and aesthetic leanings and unique style sensibilities to pay homage to. And most of the time, you’re stuck with using only your imagination to picture how it’ll look in the end and you just have to hope that it comes together the way you envisioned. Well, the good news is, technology has made the task of designing your home a whole lot easier. These days, there are a number of great apps that are specially designed to help you make your vision a reality by taking a ton of the guesswork out of it. From showing you what a piece of furniture will look like in your home to helping you capture any color on the go, the following home design apps will leave you with a beautifully designed home in no time at all. Ever been out and about and stumbled upon an interior color you love but can’t figure out what it’s called or where it’s from? Then you need Color Capture in your life. 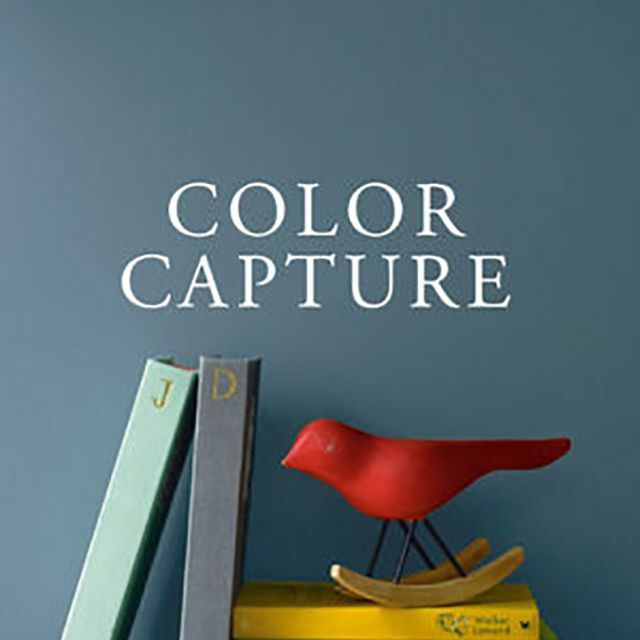 Developed by paint company Benjamin Moore, this handy app lets you take a photo of the color in question and returns paint hue options that match it. Plus, you’ll get additional color suggestions designed to complement your new favorite hue. There might be no bigger interior design challenge than finding the right scale for your furniture and decor. If a piece of furniture is too large, your space will look cramped and crowded; if it’s too small, it’ll appear sterile and hollow. Measured takes the guesswork out of the scale problem by transforming your phone’s camera into a measuring device using augmented reality. With it, you can measure anything, anywhere, and you’ll always have those measurements at the ready when you need them. This one-stop-shop app lets you easily create a custom floor plan of your interior using only your phone’s camera. Simply snap a pic of the space you’re working on and the app will spit back rough dimensions that you can use to plan your design. Even better, you can add specific pieces of decor and furniture to your new plan to better envision how everything will look. However, it should be noted that the measurements are not 100% accurate, but they’re definitely close enough to give you a solid idea of how to plan your space. 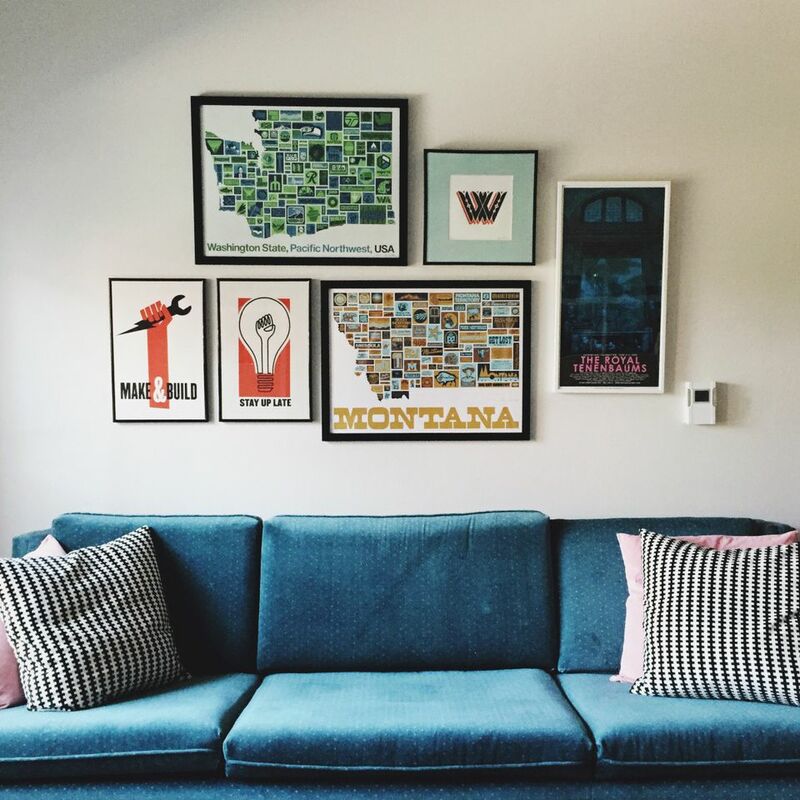 Gallery walls are the perfect way to add personality and intrigue to a blank wall, but it can be tough to picture what the perfect arrangement will look like. That is, until now. The Gallery Wall Designer within the Art.com app allows you to take a photo of your wall and input images and photos that you can then mix and match by size, shape, and style until you arrive at the perfect gallery wall arrangement for your space. If you’re like so many people who know they want their home to look nice but don’t have a strong sense of their personal interior style, then check out the Rooms app for all of the interior inspiration you’ll ever need. This easy-to-use app features more than 14 million high-resolution images of interiors that are categorized by room, aesthetic, and locale. You can easily browse them and save the ones that fit your fancy to your “Ideabook.” Additionally, the images you save in the Ideabook give the app’s real-life design consultants a stronger idea of what you like so you’ll see even more images you’re attracted to when browsing. Even with all of the aforementioned help, sometimes you want a professional’s advice. Well, with the Havenly app you can get just that straight from the comfort of your couch. If you’re facing a design dilemma, all you need to do is snap a photo of your space and upload it to the app. From there, Havenly will match you with a professional interior designer who aligns with your aesthetic and you can ask them anything you need to get your design squared away. And if you want to take this hands-on help to the next level, you can hire the designer to complete your space starting from $79.